The proposed long-term capital gains tax on equity holdings will apply on profits made from sale of shares on or after April 1, 2018.
the full value of consideration received or accruing as a result of the transfer of the capital asset. Finance Minister Arun Jaitley in his Budget for 2018-19 announced levying long-term capital gains tax on profits made from share sales. As stock prices continued to take a beating, the government explained the new levy in form of Frequently Asked Questions (FAQs), reasoning that exempting long-term gains from share sale from any tax was inherently biased against manufacturing and encouraged diversion of investment to financial assets. “The new tax regime will be applicable to transfer made on or after April 1, 2018 (and) the transfer made between February 1, 2018, and March 31, 2018, will be eligible for exemption under clause (38) of section 10 of the Act,” the FAQ said. At present, India imposes a 15 per cent tax on short term capital gains made from the sale of shares within a year of purchase. However, gains made after a year of purchase is exempt from the levy. “The proposed new tax regime will apply to transfer made on or after April 1, 2018. The existing regime providing an exemption under clause (38) of section 10 of the Act will continue to be available for transfer made on or before March 31, 2018,” the FAQ said. The levy would apply to equity shares of a listed company, unit of an equity oriented fund and unit of a business trust. These assets must have been held for a minimum period of 12 months from the date of acquisition. “The long-term capital gains will be computed by deducting the cost of acquisition from the full value of consideration on transfer of the long-term capital asset. The cost for shares acquired on or before January 31, 2018, will be the actual cost. But “if the actual cost is less than the fair market value of such asset as on January 31, 2018, the fair market value will be deemed to be the cost of acquisition. For listed equity share or unit, “the fair market value means the highest price of such share or unit quoted on a recognised stock exchange on January 31, 2018. In the case of an unlisted unit, the net asset value of such unit on January 31, 2018, will be the fair market value. 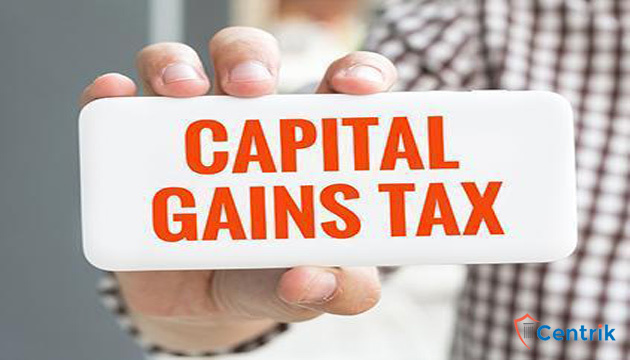 Long-term capital gains exceeding Rs 1 lakh from sales of shares made on after April 1, 2018, will be taxed at 10 per cent. However, there will be no tax on gains accrued upto January 31, 2018. Prior to the Budget announcement, long-term capital gains arising from the transfer of long-term capital assets, being equity shares of a company or a unit of equity oriented fund or a unit of a business trust, was exempt from income-tax under clause (38) of section 10 of the Act.